Researchers have been making headway in the fight against neurodegenerative diseases. Back in December, scientists at Oregon Health & Science University discovered a connection between a certain brain protein and Alzheimer’s disease. And, earlier this month, Dr. Carlos Saura found a potential therapeutic target that could reverse memory loss. This growing body of research greatly enhances understanding of conditions like Alzheimer’s and dementia, and now researchers from Boston University will be adding to it. In a recent study, they found that prolonged sleep duration could be an early indicator of neurodegeneration and dementia. “Prolonged sleep duration may be a marker of early neurodegeneration and hence a useful clinical tool to identify those at higher risk of progressing to clinical dementia within 10 years,” the researchers said. The conclusion was reached after researchers analyzed 234 cases of all-cause dementia over a 10-year period. The researchers monitored participants’ sleeping patterns and found that those who transitioned to sleeping over 9 hours per night were twice as likely to develop dementia 10 years later. In an interview with MedicalResearch.com, researcher Matthew P. Pase says that sleeping disturbances are common amongst those who have dementia. However, he says that people who have always slept for longer periods may not necessarily be in trouble. “We also examined participants’ past sleeping habits and found that persons who consistently slept for over 9 hours each night did not display increased risk of dementia. In contrast, persons who recently transitioned to becoming long sleepers displayed an increased risk of dementia,” he said. Consumers who slept for slept for shorter periods of time (under six hours per night) were not found to have any significantly increased risk of dementia. Pase explains that transitioning to longer sleeping periods is the result of brain changes that begin early on in dementia. It’s important to note that excessive sleeping is a marker of the disease and not necessarily a cause, so consumers should not try to alter their sleep cycles to counteract the threat. 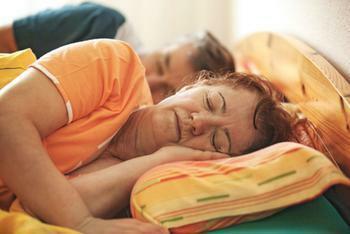 “Interventions to restrict sleep duration are unlikely to reduce the risk of dementia. Rather, screening for sleeping problems may aid in the early detection of cognitive impairment and dementia. Older persons recently reporting becoming excessive sleepers who also complain of problems with thinking or memory may warrant assessment and monitoring,” Pase said. The full study has been published in the journal Neurology.